This entry was posted on 2014/08/25 by Robin. It was filed under Birds, Reifel Migratory Bird Sanctuary, Shorebirds and was tagged with B.C., Ladner, Lesser Yellowlegs, Reifel. Such a lovely image. I like the reflections. What a peaceful picture. perfect composition and colors. Soothing. I fall short of words to appreciate such eye pleasing captures! 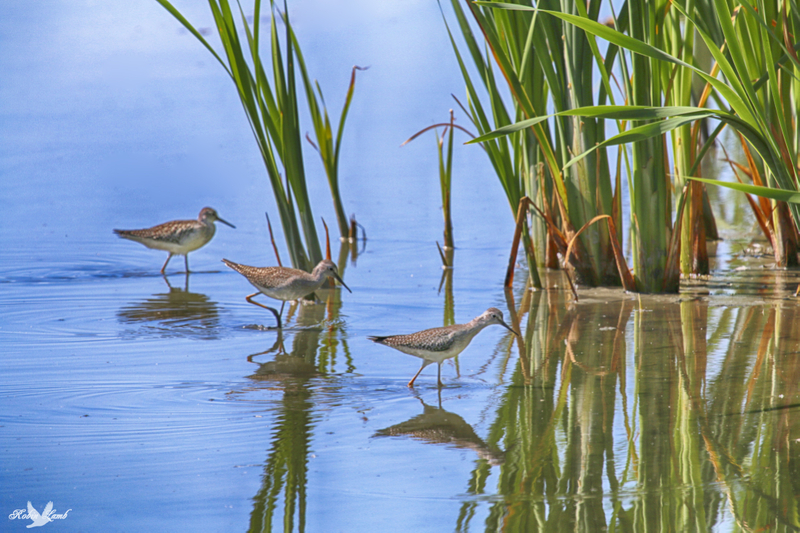 Doesn’t the title do justice to this pleasing image & the busy Lesser Yellowlegs? Torque, your welcome and thank you!